For example, a rather unusual auditory stimuli reported to be associated with dog bite attack is the repeated high pitched beeping sound from a hearing aid. In addition, movement is a stimulus that may affect some dogs. For example, the movement of a jogger, that of the person on a bicycle or skateboard or even a child on a swing might trigger and aggressive responding. 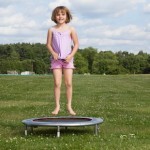 More recently, it is come to light that the movement of a child on a trampoline may be nother source of movement associated with dog bite attack. For example, in April 2012 there was an incident in which two Huskies attacked an eight-year-old on a trampoline in Indiana. In a separate incident in April 2012, a German Shepherd attacked a five-year old trampoline jumper in Colchester, England. In this incident, the dog attack caused serious dog bite injury to the child who suffered nerve damage to the face and required 60 stitches to close lacerations. 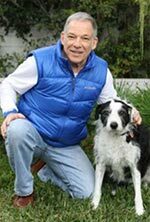 As of this posting, however,there have been few reports, if any, in the dog bite literature documenting trampoline movement associated with dog bite attacks.